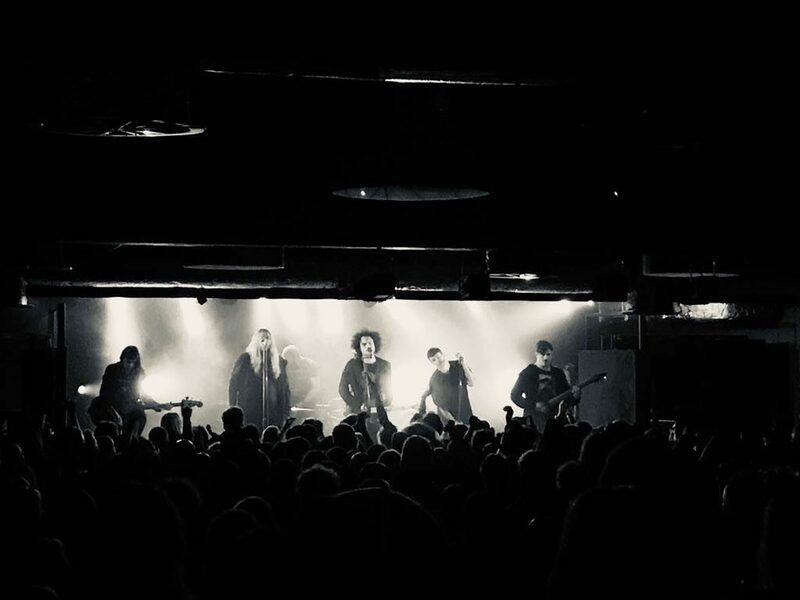 The Swiss black metal/blues/country band Zeal & Ardor has visited a small venue in Warsaw to give one of the most electrifying performances I’ve seen in a long time. I gotta say admit that 2018 wasn’t my best year when it comes to concerts. I didn’t go to any festival over the summer and hence I felt desperate to go any time soon. Zeal & Ardor has been a perfect choice. I wrote about the band early this years as well, so if you aren’t familiar at all with what they offer, take a quick read here. I arrived at Proxima (the venue where the concert was held) quite early. It gave me the opportunity to listen to the short piece of the support. The support group was Nyos – a two-men band that seemed to be heavily inspired by The Prodigy, but in a more cacophonic, more trans-rock kind of way. Although I wasn’t blown away, I believe that these two guys have a bright future ahead. I’m also willing to say that Nyos has made a decent half an hour and heated the stage for the main stars. Before I start raving over the live performance of the Swiss, 4Chan-born group, one should be clear – I’m far from calling myself a metalhead. The closest I ever got to metal was Slipknot. And most of the metalheads I’ve met frowned upon me when I mentioned Corey Taylor’s band. This should give you an approximation of how much of a specialist I am in that particular field. Zeal & Ardor charmed me with their first single and I’ve been their ardent fan ever since. You can imagine that I’ve had high hopes. Fortunately, Zeal & Ardor bought me even before the first song ended. Among the growling and the heavy sounds of the two guitars, the band found a lovely melody to out-balance the black metal-y, noisy part. Almost every song brought that kind sweet novelty, an experimentation orbiting around quote contradicting genres (folk and Americana often refer to God, while black metal… well, not too fond of it). Zeal & Ardor’s vibe is a strangely beautiful mix of blues, country, folk and – obviously – black metal. It’s eerie, it’s extremely atmospheric. And Manuel Gagneux’s voice, supported by Denis Wagner and Marc Obrist, is the demonic topping that hypnotized the audience. To put it in one line – each and every song passing by was cementing my view that the entire band is just outstandingly gifted. “Built On Ashes” live was one of the most bone-deep, spine-tingling performances I’ve heard in a long time. Manuel Gagneux, the band’s charismatic leader, is a fantastic songwriter (and this particular song is a great proof). The lyrics of the song – “at the end of it all, there’s no doubt / that we’re bound to die alone” sound oddly beautiful, poetic as if the song is hung in a sweetly idyllic, folk state. It beautifully blends metal with other genres and the Junior Kimbrough-like bridge. 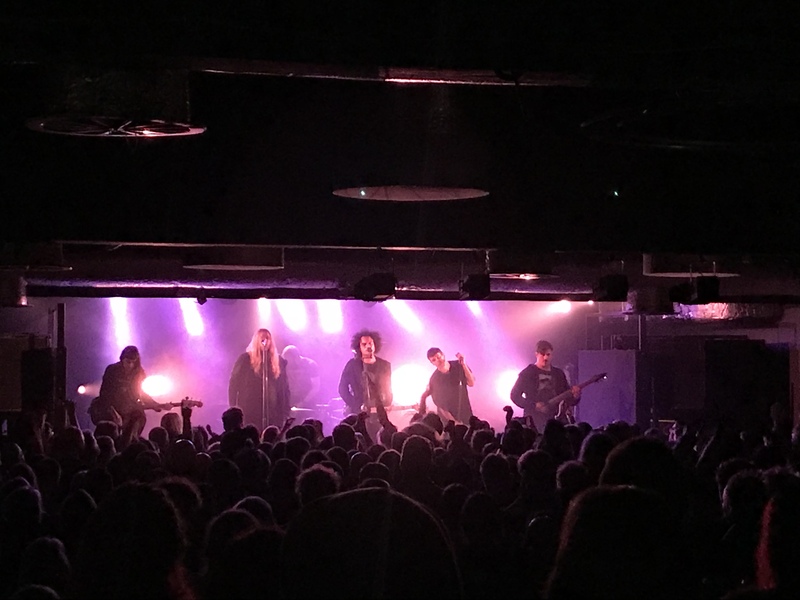 It’s these latter moments when Zeal & Ardor shows the true variety of their own sounds. You can listen to that live performance below (I still get shivers when listening to it… and sorry for the quality). On the other hand, those familiar with the band’s swift rise will probably know that there is – as usually – that one song that people know the most. However, as it was the case of Portugal The Man and “Feel It Still”, Zeal & Ardor didn’t shine the most with “Devil Is Fine”. In fact, I personally found the live version of the song worse than the studio version. The last song that I caught on camera was “The Gravedigger’s Chant” (with its absolutely fantastic blues-y vibe). The time with Zeal & Ardor was over way too soon. I was immersed in the ritual we were all part of in Proxima and really wanted more. However, as people say, time flies – in the end, the entire performance lasted around an hour and a half. The band played almost all of their songs, from both albums. What else could we expect? (maybe apart from a cover of Junior Kimbrough in a black metal style). The raw energy of Gagneux & and the pack was like a virus. I can’t wait to hear them again, get a hold of their new album. Zeal & Ardor – it’s been a pleasure!